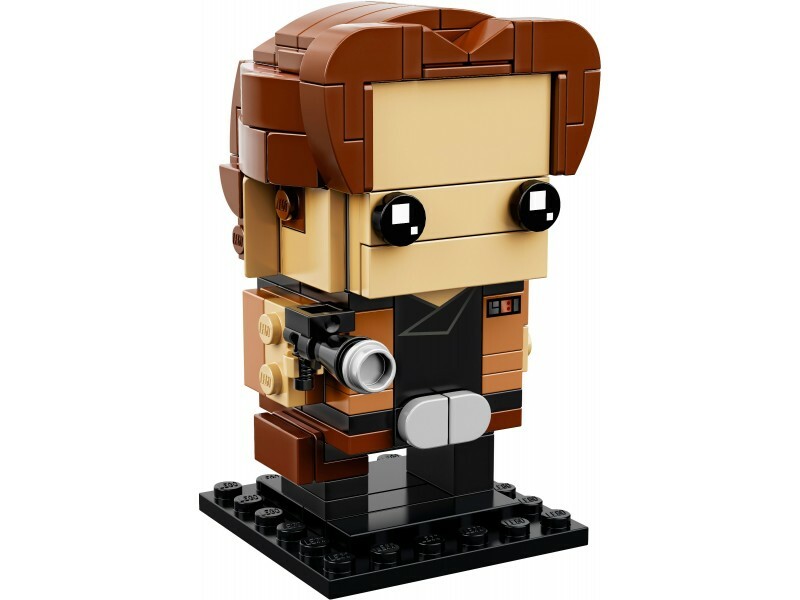 This LEGO® BrickHeadz™ 41608 Han Solo is fun to build using colorful LEGO bricks that recreate all of his iconic details from the Star Wars saga, including a brown jacket and utility belt. He also has a detachable blaster and stands on a buildable collector's baseplate with BrickHeadz logo for easy display in your home, office or anywhere you like. Buildable LEGO® BrickHeadz™ construction character featuring Han Solo has authentic details from the Star Wars saga, including an iconic brown jacket, utility belt and a detachable blaster. Each LEGO® BrickHeadz™ construction character comes with its own buildable collector's baseplate featuring the BrickHeadz logo.